On Saturday, January 26, the Glenview Stars Girls program partnered with the Lake County Vipers to present their 5th annual Celebration of Hockey Day. This year’s festivities took place at the Niles Iceland Outdoor ice rink. The goal of this great event is to simply celebrate the great game of hockey at all levels, while working together to help raise money and awareness for the Hornets Sled Hockey Association. The day consisted of the Junior Stars U8 girls playing an exhibition game with one of our Junior Stars MMDP teams. 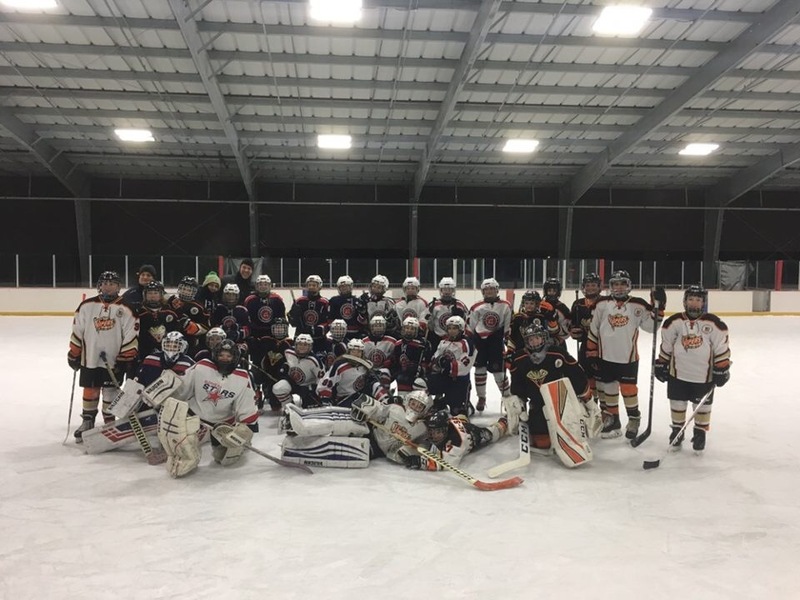 The Stars U10 girls played a mix scrimmage with Orland Park Vikings Squirt Silver team; the Stars U12 girls played a mixed scrimmage game with the Vipers Pee Wee Elites, while the Stars U14 girls played a friendly mixed game with the Vipers Bantam Elite team. In each of these games, the teams, coaches, and parents showed great camaraderie and had a blast braving the cold outdoors. The main event of the day consisted of the Stars Girls getting a chance to play sled hockey with the Hornets. The Stars U16, U14, U12, and U10 girls all took turns getting onto the sleds, working to figure out how incredible the great game of sled hockey can be. The Hornets’ players, coaches, and families were phenomenal from top to bottom. They were gracious and patient with the Stars Girls, and all involved had a complete blast. Hockey continues to be a means for bringing people together for a cause. It is important to us that all young hockey players realize the importance of giving back to this great game. The Stars are extremely fortunate to have a group of families that jump at the opportunity to give their time and energy to help make an event like this successful. Through the use of a nominal gate fee, a 50/50 chuck-a-puck, 50/50 raffle, bake sale, generously donated auction items, and a GoFundMe page, the day has raised over $5200 – all of which will go directly to the Hornets. The GoFundMe page will continue to remain active for a short time. Please click HERE if you would like to donate to this great cause! Special thanks to the Stars’ Girls, who were wonderful in helping with the bake sale, chuck-a-puck, and 50/50 raffle. I’d also like to thank Marty Stankowicz and the Niles Iceland staff, John Berthiaume, Coach Mike DiStefano, Wiebke Droege, Charlotte Gonzalez, Kelly Matuszewski, Kelly Epstein, Kevin Lempa, Coach Andy Narlock, Coach Jim Pye, Coach Todd Hyken, Coach Don Ridge, and Coach Mike Weiss for their assistance in the day’s event. Lastly, I’d like to acknowledge the following individuals for their selfless contribution to this cause and for making this day a success: Julie Lavalle, Jamie Napolitano, Christine Rogers, Coach Marty Rogers, and Yasmine Varallo. Thanks to all who attended and participated in this day! ‹ 2019 Boys and Girls High School All-State Teams Announced!